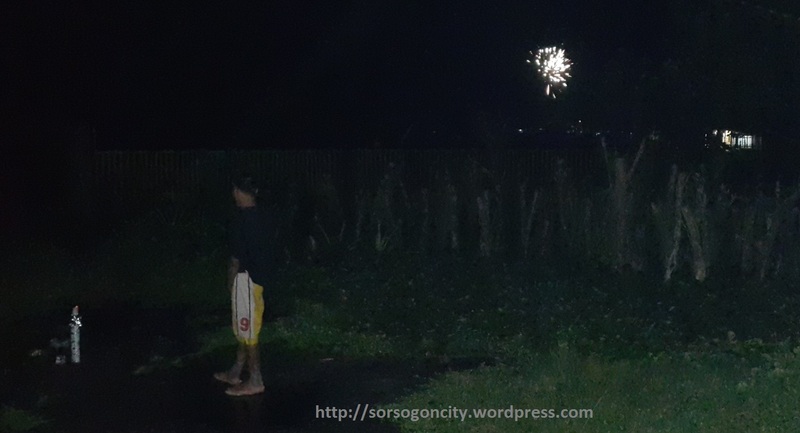 Fireworks during 2016 New Year’s eve in Brgy. Capuy. 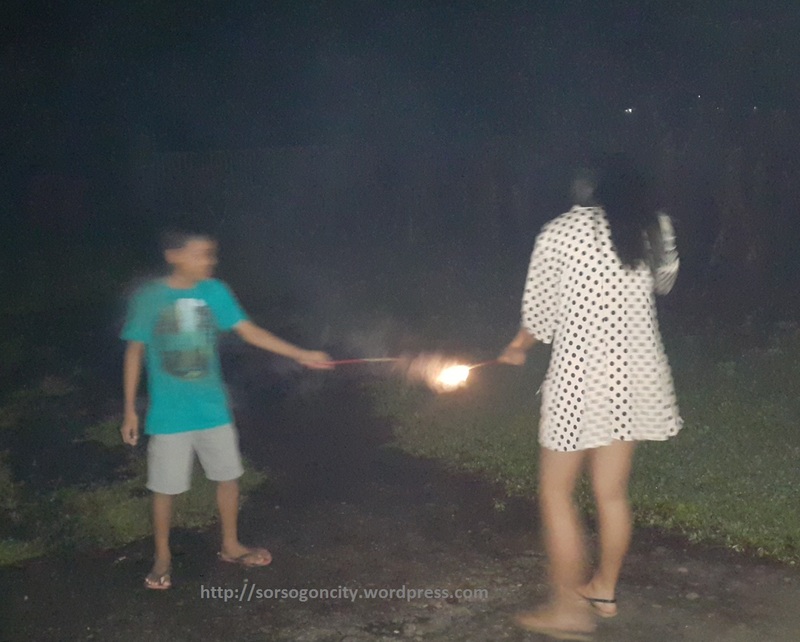 The author’s niece and nephew trying out the Roman Candle, minutes away from New Year’s eve. For the first time in the last 5 years, I was almost unplugged during my holidays in Sorsogon. I only worked the night of the 30th, otherwise, I would just check my emails and would never reply unless it’s very urgent (and I could count how many emails I sent via my mobile, a stark improvement). And I even missed a call from one of our execs! Finally, I didn’t work on my blog at all until today, January 1. I just couldn’t resist it – I found a book about Bikol history by Jaime T. Malanyaon published 25 years ago. 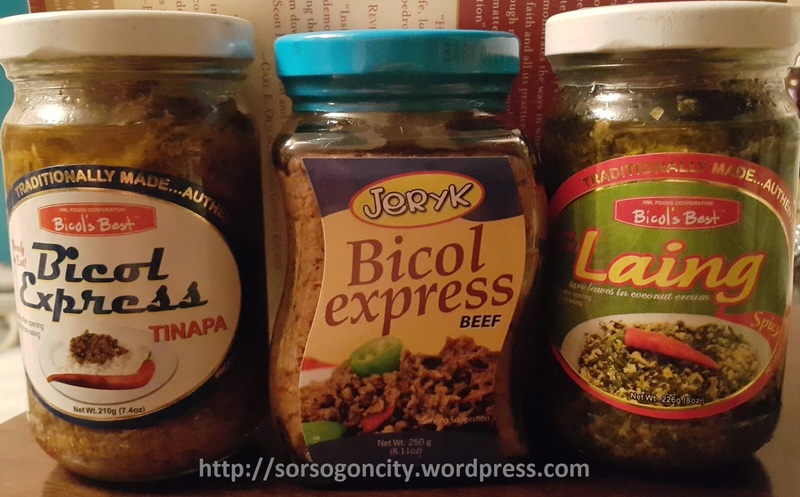 I took some stories about the provincial governors of Sorsogon before the Second World War. 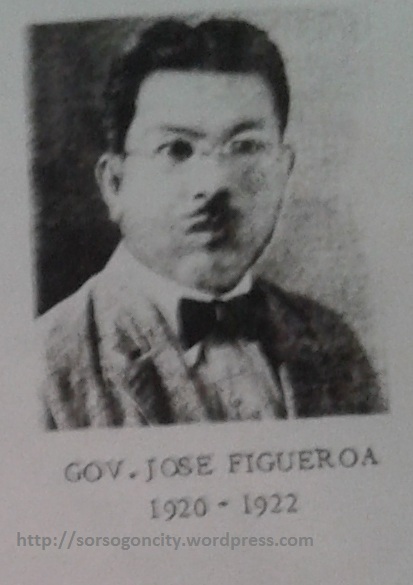 Governor Jose Figueroa. Image is via Facts About Sorsogon, Sorsogon Provincial Library. Just like the late Vicente Peralta, I was just amazed how these guys lived and lead the province. And one of them was an artist: Jose Figueroa. 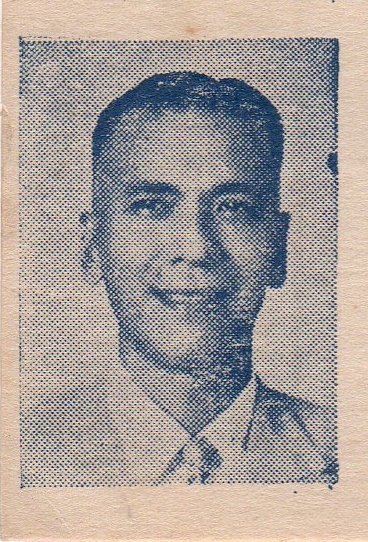 A couple of them were national officials, Vicente de Vera (Chief Commissioner of the Public Service Commission) and Teodisio Dino (Secretary of National Defense). And there are the likes of Gurang (Salvador Escudero Jr.) and Assisclo Jimenez who are known to be strict disciplinarian; the former was also a guerrilla leader. I just wonder if they would’ve last long with the current local politics. While reading the stories of the former governors, and remembering other historical articles that I read, it gave me the impression that Sorsogon was one of the most prosperous provinces before the war. I am wondering when it started to go south for the province. I just hope and pray that the new generation of leaders will be mostly for public service than anything else. 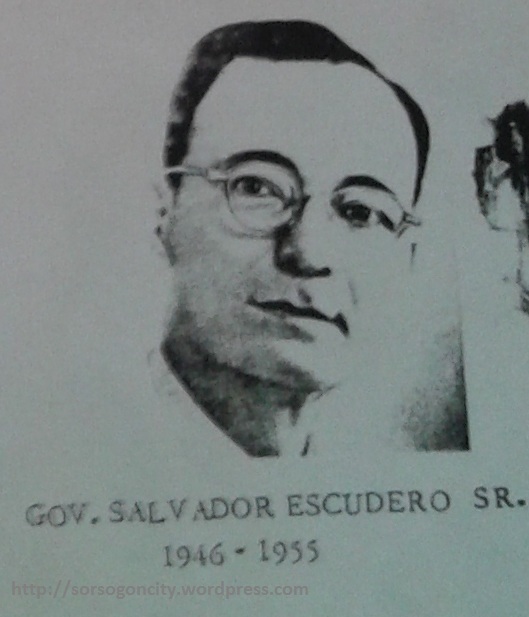 Governor Salvador Escudero. Image via Facts About Sorsogon, Sorsogon Provincial Library. I took my cousin for a 1.5-hr driving practice from the city around Bacon (I just hate calling it a district), Prieto Diaz, Gubat and back. She was a hesitant driver between the city proper and the Bacon interior (e.g. Bato, Gatbo, Sawanga) and wouldn’t let go of the brakes but floored the gas upon hitting the straight roads of Prieto Diaz. I wasn’t in the mood to take pictures and just enjoyed the beautiful view; I did see the entrance to the famous bakawan of Prieto Diaz. Next time (of course, the city has its own version as well in Brgy. Buhatan near Soreco II main office). our house’s frontyard. Sadly, we also realized how bad the recent Bagyong Nona hit the 2nd district. In the city mountains that you see along AH26, one will surely notice the different color of the coconut trees – a sure sign that it will take a while to recover. According to my in-law, around 5-6 months but 2nd district’s may be worse (after Bagyong Sisang, it took half a decade for the coconut industry in Sorsogon to recover). And I got the contact information of the provincial agriculture office, for everyone’s reference: Office of the Provincial Agriculturist, Alegre Street (near the corner of Burgos Street), +63(917)893-4485. These food stuff are available at Petron Station, Sipocot, Camarines Sur (on the right side, going towards Manila, a kilometer before the Andaya Highway). 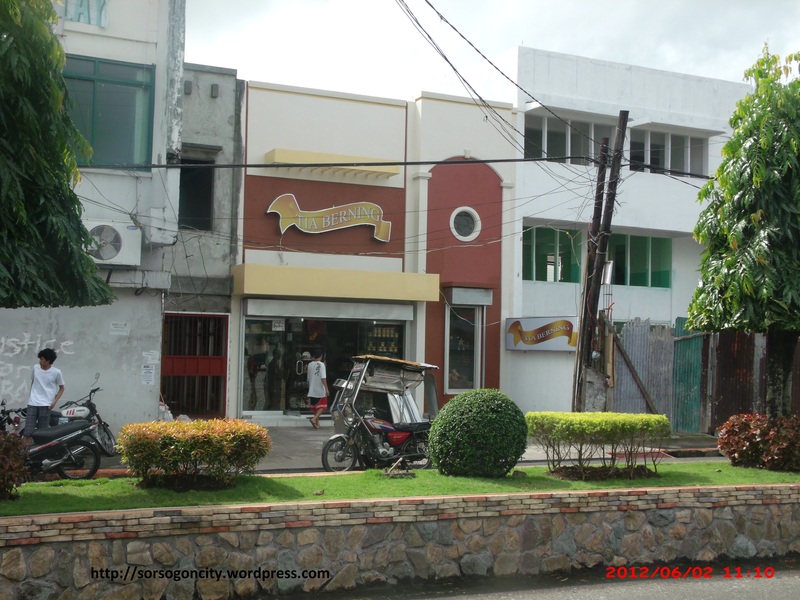 One can also visit Tiya Berning’s store along Rizal St. in Sorsogon City. We also dropped by Tiya Berning’s to buy some presents for our friends back in Manila. We struck a conversation with the owner about pili products in Kultura and Macao. They claimed that they are the sources of these products and already joined a food expo in Hongkong before. The latter is processed in Macao, but the owner heard that the buyer is planning to put up a processing plant in Subic. I just hope that this pushes through. My wife and I are also planning to raise Pili trees in the near future. We are planning to come back at the middle of this quarter and quite excited about it.